Ever so slowly I have felt the tightness of grief. I wasn't blaming it on depression. I've been there before. Feeling of sadness and hopelessness. Brain fog. That lost alone feeling. In my mind, this is depression. No this is something different to that. 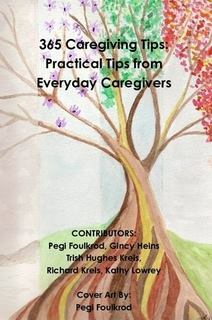 Then a situation outside of caregiving tipped the scale and now I feel like I'm in the stranglehold of anger! Over the last few months Hubby has had good and bad days. More bad than good. Lots of cognition issues, LOTS of his own anger issues we have tried to deal with and cap. Still no solution to that though. Mobility has declined and I explained to his Dr at a recent appointment that Hubby wanders but don't get it in your mind that he stands up and walks across the floor with no issue. He clutches everything as he makes those tiny little shuffle steps and pulls himself along all the furnishings. Many times, almost every actually, he will get where he wants and then he "Honey"s me to come and rescue him with the wheelchair for a ride back to our room. He still suffers with his back pain and his neck has decided to flare up and join the party. His headaches that he used to complain about on a daily bases associated with his PTSD issues have returned. Lack of movement, muscle atrophy and neurologic stiffness associated with the parkinsons type symptoms. Falling is still at high risk. Hubby has already suffered 2 compound spinal fractures. I don't know how to make him understand he needs assistance with walking. He is still a very proud man and he would rather crawl where he wants to be than have anyone (besides me when he needs me) help him. His words. He is so dependent on me and my presence. I get "Honey"d so often I may become a diabetic! Even Booger the dog gets up and moves toward the door when he hears it. So now to the constriction. -Hubby refuses help from anyone but me. -I refuse help unless I feel like I'm in a bind. -I have to make ALL the decisions. -Our aide took another position and we will have a new one probably with new days or hours. -Hubby forgot who our baby daughter is, even though he sees her every day. -Hubby stays up all night mostly raiding the fridge and drinking from the milk carton or rattling candy wrappers! -The dogs need attention. Why can't they be like cats? -Hubby wants to go places EVERY night after the day has just about ended and I am tired, it's late and only a couple hrs of daylight left. Yet he has NO idea where he wants to go when I ask him. He asks me where I want to go. I don't want to go. I want to stay home! Then he gets upset at me for keeping him prisoner. -There are a limited number of places we can actually go that are handicapped accessible and even fewer places that have family style bathrooms. -Hubby insists he will have a talk with his Dr about things and insist that I make appointments for TODAY, umm have you EVER tried to get in to see a VA Dr same day? It doesn't happen. yet when we saw the Dr, he didn't say anything. -Hubby can't hear or comprehend what I'm saying so I have to repeat myself! Hubby can't hear or comprehend what I'm saying so I have to repeat myself! HUBBY CAN'T HEAR OR COMPREHEND WHAT I'M SAYING SO I HAVE TO REPEAT MYSELF! -Hubby accuses me of yelling at him. I'M NOT YELLING! Ok maybe a little. -I use too many words to talk to Hubby. -I have to be a thesaurus to talk to Hubby. -I don't want to talk to Hubby. -I can't talk to Hubby. -I don't work out and exercise like I used to and want to. -Hubby lost weight since his last nutrition appt. 8 lbs in 4 months and no changes in diet other than the ice cream addition since the hot weather settled in. -I had to talk to the nutritionist about keeping Hubby's weight documented for the addition of Hospice services if it continues to decline. Failure to thrive will qualify Hubby for those services. -Hubby believes he can move out on his own. -Sometimes I wish he would. -I can not come to grips with placement. I can't think about it. I've shut down. -I'm angry because, I'm angry. Oh this list could get so long but you see what my mind is dealing with. I think it's time to make some steps to see my own Dr and address these issues. I don't want to let my joy be squelched by anger. And mostly I don't want to squelch my witness of Gods great love. Getting trapped in anger is scary for everyone! So since I've whined all over this page and honestly, just getting that out seemed to help. I actually forgot some of the things I was going to list! I want to end with something positive. A few years ago I built a small deck off the side of our home. Hubby and I could sit outside on the swing and enjoy the weather when it was enjoyable and he felt like it. Just a few times for him though. This year I hired a crew to put a roof on it. maybe Hubby would want to come out more. I felt it best to hire professionals for the roof due to an electrical issue. They did an AWESOME job! Now Hubby and I can sit outside, heat permitting, and he (we) can be protected from the elements. 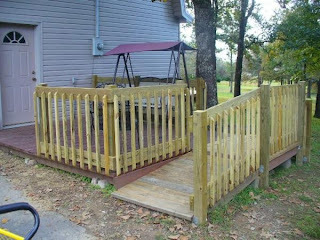 I had also been thinking of building a ramp off the back of the deck. I'd like to connect this side deck with the one in the background of the other picture. 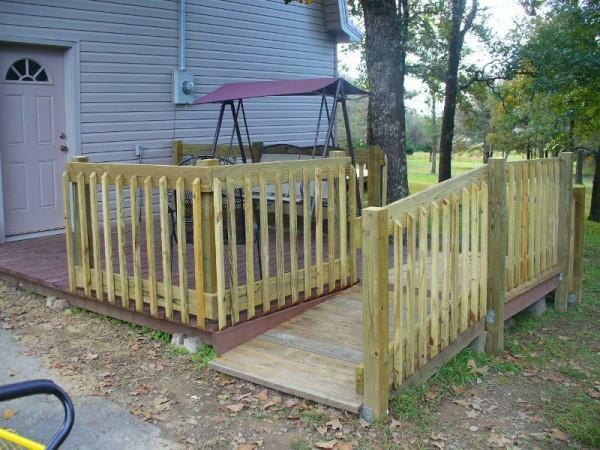 I built that deck for our youngest daughters wedding 4 yrs ago. At some point I want to put a gazebo roof on it. That's a BIG dream for me right now so I'll stick with the ramp since I know I can do that. And I found a surprise under my deck when I was building the ramp. Remember the kitten my sister in law sent me? If you don't, you can read that here. We named her Shadow. She is a very affectionate and loving cat. Some days she gets run of the house. We like her. And apparently another cat liked her too because I found 3 kittens under my deck that belong to her! Note to self, shadow needs a vet appt. My goodness they are already big and how I had NO idea she had them is beyond me. They are the most playful, friendly and loving things. You would never know they had no human contact before. 2 solid blacks, 1 tortoiseshell. All 3 have blue eyes and one of the black ones has a stumpy tail. From the feel of it, the tail never elongated. It has a tip but it's crooked and adorable. It's my favorite and it likes me as well. Booger the dog thinks I got him toys to play with. And most of all I want to say Thank You! I have received some of the sweetest and most supportive comments from you. Thank you for your concerns and encouragement. Thank you for reaching across the near and far miles with your support. I want you to know that I have you all on my daily prayer list. For those I have no name for, God knows who you are. I pray he blesses you all with His Peace and Comfort. Thank You Thank You!! This journey would be SOOOOO much harder without your support. I only hope that I can or have offer/ed you the same in return. 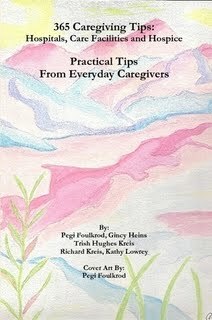 Kathy, You have everything about caregiving in this post: love, frustration, anger and a plan. Plus, cute kittens to boot! I'm so sorry about the anger (any one of those things would send anyone over the edge) and I'm happy you're going to see your own doctor. You know I think (and know) you're awesome and wonderful and appreciate all the goodness you spread in this world. Sending you huge hugs and love. Thank you so much for your blog. 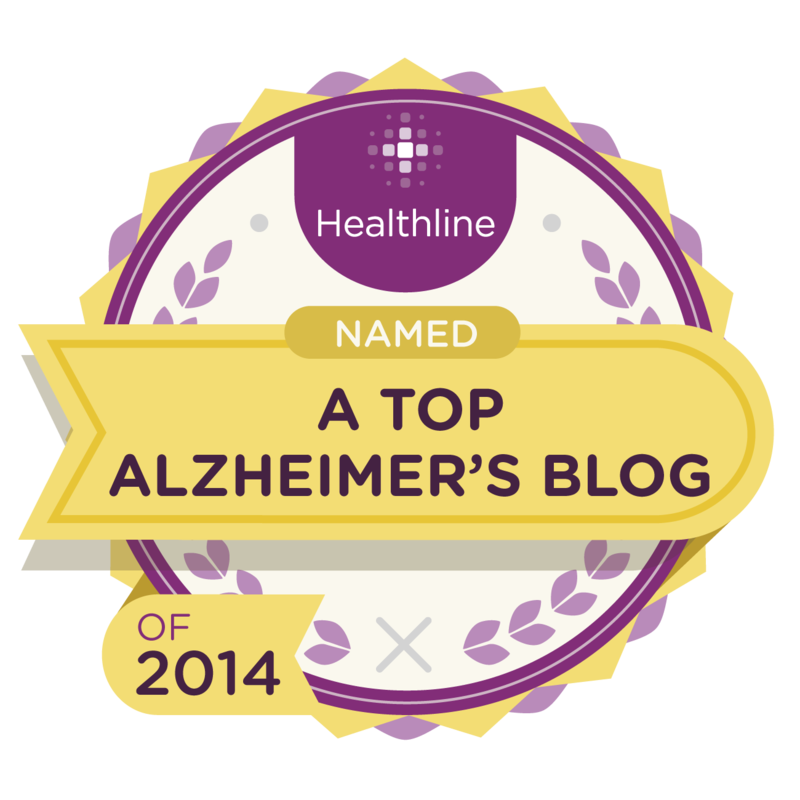 My husband has been diagnosed with probable LBD with Parkinsonism approximately two years ago. Your blog has helped to prepare me for what is ahead--sad as that realization is. I do have a question that I have never seen addressed: my husband is feeling that the people on TV are actually in our home. He joins in conversations with people on Fox news and asked them if they can hear him. The other day he asked why I invited Mike Hucklebee to our home? He wants us to be quiet, as it's rude for us to talk while they are talking. He feels he is literally at a ballgame when it's on TV. Has your husband experienced this, or have you read of others who have experienced it? HI, and Thank you for taking the time to read. We too have hallucination issues and delusion issues. Lately more than even I can grip on some days. It is all quite common with Lewy Body.